Galibier. | Roubaix Vision IV Gloves. You don’t need to ask someone who owns a pair of these about their warmth and durability… As they will tell you!!! We wanted a Lightweight, high performance glove for riders who prefer a single layer palm for snug fit and bar control. We wanted a versatile glove, which would offer protection from crashes while retaining the ‘feel’ of the bike. We wanted a mid season glove that would work in race and training conditions. 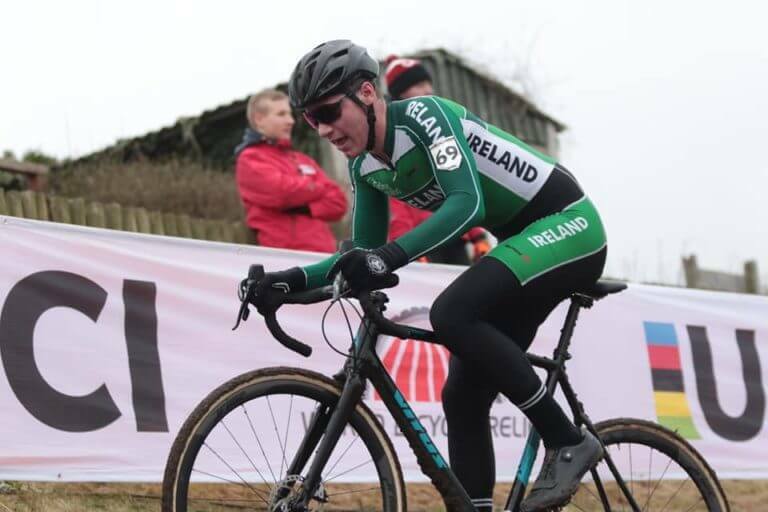 we wanted a glove that would keep the skin-like feel to the bars but offer thermal protection in Spring, Autumn and summer mornings or racing in the rain. The “Super Roubaix”Lycra fabric allows a better stretching and contraction of muscles, reducing shocks and enhancing performances. We have seen first generation of these gloves, now 5 years old still in daily use. 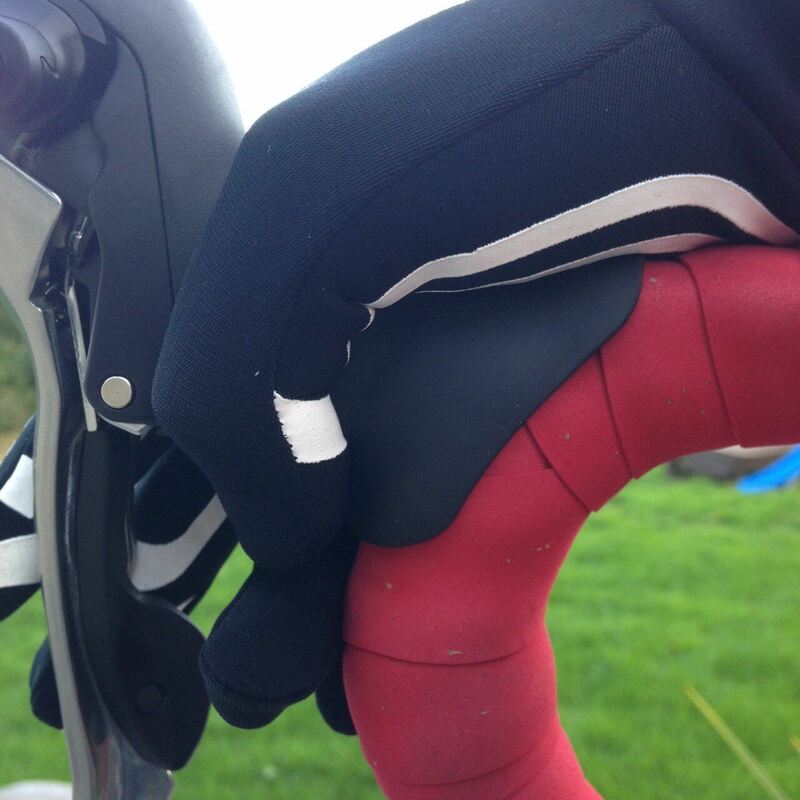 Soft touch Roubaix cuffs to keep your wrists warm and your nose clean! 39 reviews for Roubaix Vision IV Gloves. Spot on if, like me, you’re not a big fan of bulky gloves on colder rides. Well priced too. Great price, great fit. For me they’re good down to about 7 or 8 degrees, but I feel the cold in my hands. As previously said, they’ll only keep your hands warm to a certain low (4 or 5 degrees for me), but they’re grippy, stylish, super comfy and just about the perfect glove for when fingerless is not an option. It’s gonna have to be freezing for the bulky dual layered to come out this winter. Not bulky, super soft and great looking gloves. They are perfect to take the chill off down to about 5 degrees for me. Well worth twice the price. Just got mine, quickly delivered used them and wow its what I hoped from the description. Its like the roubaix winter tights feel on your hands, so feels warm and less restrictive than other gloves but could if needed combine as another glove layer as they are so thin. The white gripper is very grippy. I think if needed on a winter TT they will be brilliant for Di2 controls. Great glove. I used them in February and they were a little cold early in the morning (0-2 deg) but by late morning (4 deg) they were perfect. The location of the rubber strips on the index and middle finger is perfect for braking and shifting. The thin fabric allows plenty of feel for the controls and looks good to. 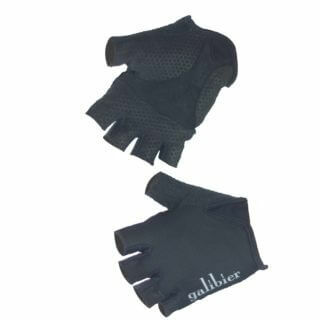 Great gloves at typical Galibier good value pricing. Light, pull on with no fiddly Velcro. Not for the coldest weather as quite thin but surprisingly warm nontheless. Great feel and grippy. Really great pair of gloves, thin yet warm, quality of manufacture very high (stitching looks good). Impressed with fit also. they feel ‘real’ on the bars, you’ll never miss the shift, etc. The white part (only) is grippy beyond expectations, even on wet handlebars. They fit well, are comfortable and it’s easy to forget about your hands and focus on the road. Riding at about 35*F – 50*F & Dry/Raining these gloves needed hand warmers to keep the backs of your hands from freezing off. 4/5 because I couldn’t even imagine wearing these if I lived in canada/alaska etc. They just would not hold up. Keep that in mind and these are sweet, sweet gloves. I recently received these and tried them out today for a first ‘proper’ ride. They performed very well. They weren’t too thick so as to be cumbersome but were warm enough (in 10 degrees) without resulting in sweaty hands. The white grippy bits actually look quite smart and are very bright, so your really feel as if your hands are visible to other road users when you signal. The icing on the cake is that the white grippy sections work with an iPhone screen (I use Cyclemeter). You can’t do precision typing, but they’re good enough for a swipe and a prod to get to the right screen. Very happy with the gloves and very happy with the service. I purchased these gloves after reading many rave reviews, as I was looking for something inbetween my fingerless summer gloves and bulky winter gloves. These fit the bill perfectly for those chilly autumn and spring rides. There is plenty of grip from the white detailing that runs down the two fingers and thumb, enabling you to shift and brake with confidence in damp conditions. They have been in constant use for the past three months, being washed after every use and still look good as new. I was skeptical of the lack of padding on the palm sections, but they are actually really comfortable, even on 50 mile plus rides. I’ll be buying a second pair, because why wouldn’t you at this price? A brilliant pair of gloves for everyday use in spring and autumn. These gloves fit kinda tight, but not too much. They feel great. They’re thin enough to let you feel things but thick enough to keep the wind and chill off. The grlppy parts are really well-placed. They’ve been fine even for warmer weather. They also look really cool. I ride with bare hands during the Summer. In my opinion, these gloves have no unnecessary padding and are perfect for keeping your hands comfortably warm in chillier Autumn conditions. They are a snug fit but that said the size table is accurate. They also look great! Not for me unfortunately. Size medium was probably on the small size, but it’s what i usually go for. Don’t think they are particularly warm, work well in 10+ degrees. Main gripe in the seams running across fingertips and quite an annoying gap around the cuff. These gloves really are fantastic. After wearing them, every other glove just feels bulky or saggy. I have another pair of thicker gloves for winter riding, but these are so versatile that I almost never need them. Good for me down to around 3 or 4 degrees C. Remarkably durable considering how thin the material is. My last pair took several years of daily abuse before I lost one, and I couldn’t re-order fast enough. Great gloves! Rode with them from around 0 degrees upto 14 degrees. They feel really thin, but still kept my hands warm enough. And they look pretty cool as well. These are my favourite gloves. I commute all year in a mostly wet climate. On wet days they can keep my hands warm but if the weather dries, it is not stuffy. Initially, I found the inside brushed fabric to be a bit not as grippy against my palm. This improves after a few washes and use. When the temperature approached freezing, I wore a thin full finger summer glove underneath. Nice and comfy warm with this combo. Having not heard or see Galibier here in Canada, it was a bit of a gamble for me on this first purchase last year. No regrets. These have held up well. These have become my favourite winter gloves. I’ve always struggled to keep fingers warm, usually my previously dislocated finger would loose feeling in the colder temps. These gloves seem to have fixed this issue. Toasty warm and nice comfy fit. Highly recommended bit of kit. Great gloves, received them free late last year after a stock error meant Galibier couldn’t send me my entire order – fantastic customer service as always, most companies wouldn’t go further than an apology email – if I’d known how much I’d use them, I wouldn’t have even blinked at paying full price. They’re perfect for pretty much all year round use, as long as it isn’t too wet. Have recommended them to plenty of people, and my younger brother has also got a pair for use during his early morning paper round as they’re thin enough to easily get the newspapers out of his bag. One more to add to the positive reviews of these gloves. They might feel thin when you put them on at first but that is deceptive as the best compliment I can pay them is when you are out on the bike you simply forget you have them on, they are that comfortable and natural on your hands. Superb quality and value for Galibier as per usual. What a cracking pair of gloves these are. Had them three weeks now and used them a fair bit as I ride about 5 times a week. I have had no problem with the transition to gloves without padding and quite enjoyed these being comfortable and a good mid season glove. My only disappointment is that I’m now in the market for a new pair as I lost mine on the ferry when a strong wind blew them off the bench and straight into the river. Fin dal primo utilizzo li ho subito apprezzati!Tessuto morbido e quasi te li dimentichi di averli perfetti nel range di temperatura 10-20. Se in futuro ci sarà una versione per utilizzare il touch screen dello smartphone li acquisteró! I wear with 5 C degrees and they are warm and very comfortable. Great service from Galibier, they answer very fast if there is any problem. Left glove arrived with spoiled(incomplete) silicone line, nothing special actually, but a quality control sticker was placed just 5 cm away from it and when you advertise something as premium cycling apparel it just doesn’t seem right. However, I like these gloves, been using them for past two weeks and found them suitable for temperatures from 0 to 15 deg C. Free international mail took around two weeks to deliver the package. I’m on my second pair of the amazing gloves after loosing the first, I’m amazed now as i was then at how durable they. I get very sweaty hands and these soak up that sweat and make them even more warmer. The only time I felt any chill was on a couple of short down hills. as Per other reviews they are good down to about 0 degree but no more. I think that be pushing the limits of the what the glove should be ding anyway, just another great product that goes beyond its boundaries. After that sort of temp your going to need the the wind barrier of the deep winter glove. Hands were warm and dry at 5C temperature wet conditions. Very comfortable. No bulk. Great grip. Great product. I feel like I’m in the movie Tron when I put these on… Really love the design and fit of these gloves. I’m generally not a glove person as my hands get too hot quite quickly so these are perfect for me on a cold, crisp day. These gloves can also be used on smartphone screens which is brilliant! These are awesome, can’t recommend them enough for mid-season rides. Probably used them at down to 3-4C. No bulk, hands feel agile. I can even still get small things out of my pockets without taking them off. What more do you want? I bought these to act as a winter glove (don’t like bulky gloves) and whilst clearly they won’t be as warm as the bulkier gloves Galibier offer – they did the job great this morning at 7 degrees. I’m sure it can go a bit lower still and I’ll be fine too. They look amazing (Tron!) and I hope the white reflective strips last a long time – really comfy to wear and doesn’t affect my ability to break / change gear at all. These are super – worn for the first time on Saturday – temp 6 degrees to start with and absolutely fine – I suspect they’ll be good below that as well, seem to be very well made, not bulky at all, I was able to take things out of pockets easily, very comfy & they look great with the reflective stripes in particular standing out. As I say super, can’t fault then. Very nice gloves, wore them until negative temps. But I’d say they are best to like 3-5 Celcius. They have nice finish and after using them for like 3-4 months – I can say they are amazing. Extremely impressed with these gloves. Performance – These are thin but it is deceptive. My first ride I thought I was going out in 7 degrees, but it actually dropped down to 2. These gloves just about held out on their own, but with some cheap inners on they were toasty. I wasn’t expecting this at all, excellent. On rides typically down to 5-6 degrees they are fine on their own, right up to chilled spring mornings. If you prefer a thinner style glove then go these. Thoroughly recommend the product, plus Galibier had them delivered to me in 2 days. I will buy more from this company, excellent service. Perfect intermediate gloves for this period of the year when riding without gloves is too cold, but full winter gloves are way too hot. I recommend these for temps between 4-10C. They are supple, not bulky and really grippy. Cuffs are nice and long. First proper run in these today. Typical Scottish spring day, i.e cold around 5-7*C. I used a silk liner as suffer from cold hands, but certainly did the job. Interesting pattern, felt a bit like a Haitian houngan. 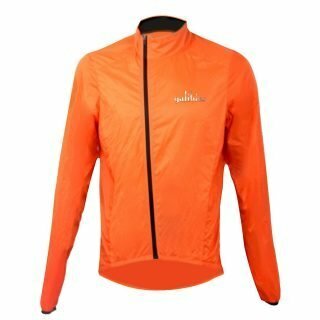 I am yet to fault Galibier kit for quality or price. Slowly replacing my gear with it. Highly recommended. And the delivery times are spot on. Excellent.